Developed in partnership with the City of Toronto, this collection of learning activities for elementary schools has been selected for Earth Week or another EcoSchools celebration. While each activity can stand alone, the collection is especially designed for an entire school to engage in environmental learning adventures, focusing on the theme of human-environment connections. 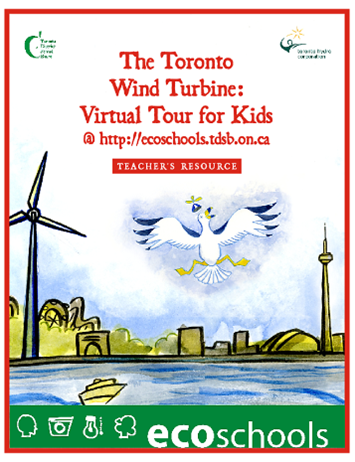 Many grade 5 classes in Toronto have already visited the wind turbine at Exhibition Place. This guide provides teachers with lessons and black-line-masters to use before, during and after the excursion to the turbine. It offers opportunities to creatively integrate numeracy and literacy into your program. This guide provides teachers with general curriculum connections and classroom management strategies as well as teaching and learning strategies for using the Virtual Tour described above. It also provides a summary of each of the six sections of the Virtual Tour. Take the wind turbine virtual tour here. Developed by EcoSpark and TDSB staff, this guide offers teachers a set of activities to get students thinking about the critical energy choices that lie ahead. Three different scenarios and roles give students a chance to explore ways to re-shape our energy future. This resource will be supported by a Science and Technology kit available in January. Understanding heat is crucial for students' future success in science and for heightening their awareness of the ways that heat affects our world. This resource, in combination with the accompanying Heat in the Environment Kit, can help teachers make a timely contribution to students' ecological literacy by showing the connections between energy use, energy transfer, heat loss, and climate change. COBWEB (short for Complexity and Organized Behaviour Within Environmental Bounds) is powerful interactive simulation software for secondary students. Climate scientist Professor Brad Bass partnered with TDSB’s Steve Bibla to develop lessons for SNC2D, CGF3M, CGR4M, SBI3U, and SBI4U. Many of the lessons do not need COBWEB. 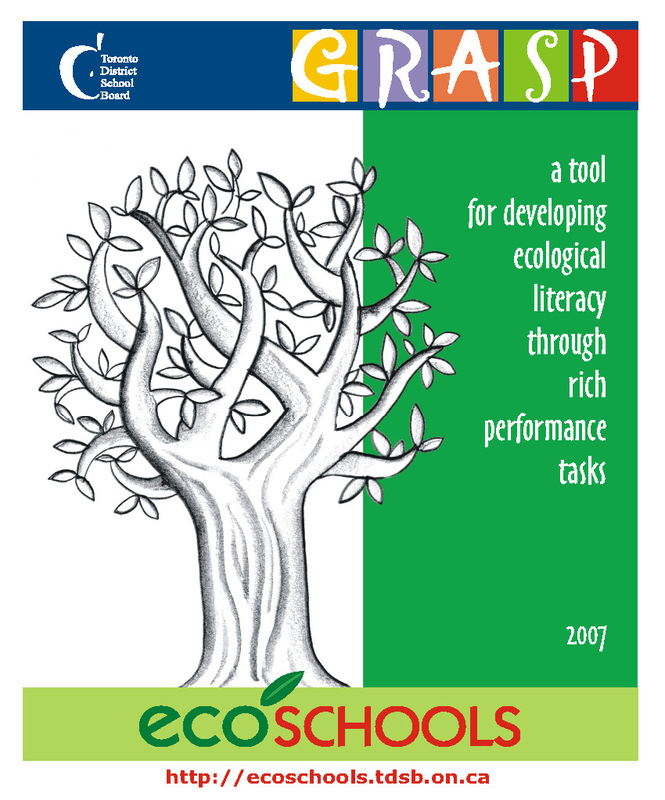 GRASP helps teachers introduce an ecological literacy dimension to their program. Planning rich performance tasks takes time, but teachers who have done this work say that they are a powerful and meaningful way to frame expectations for students and plan lessons. A rich performance task can gracefully integrate clusters of expectations from several disciplines so that teaching and learning have a purpose that students can readily understand. This resource contains tools to help teachers frame their educational goals so that they develop students’ ecological literacy through teasing out the human-nature interconnections. They cast the performance task in a realistic scenario that involves role play and awareness of audience, and culminates in a persuasive presentation or product. The scenario sets the stage for critical thinking and problem solving in tackling the performance tasks.